Even while the subject of this chapter is “adapting,” it is interesting to me that we return to “focus” as the underlying capability that makes even adapting possible. Focusing on the outcome allows the decision-maker to adjust plans along the way without getting bogged down by a fallacious loyalty to the original plans. In other words, the issue is not implementing the plans as currently laid out, but achieving the outcome those plans were intended to achieve. As I have written elsewhere, the leader needs both proactive decision-making skills and reactive skills. The poised tennis player is as ready for whatever might come at them as they are prepared to execute their own game plan. 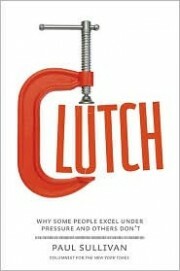 In “clutch” situations (where ordinary skills need to be applied in extraordinary circumstances), pressure, immediacy, danger, the unexpected, and complexity conspire to muddle and/or overwhelm our senses. If we are not prepared or willing to pay attention to those complicating, unfolding realities, then our ability to make appropriate and relevant decisions will suffer. If we have the luxury of time, then we can take a step back and evaluate the data and adjust accordingly. If time is not available, we need to be able to make a decision with less than ideal analysis and thinking. It is at this point where our focus on the intended outcome is helpful and vital. We may be handicapped without a thorough and systematic analysis of the changing realities, but we will not be paralyzed. Instead of trying to make the best adjustment possible, we choose to make the next adjustment. I am challenged by Patton’s assertion, “a good plan executed now is better than a perfect plan executed too late.” Imperfect action is more important than perfect concepts. I love concepts. Ideas, ideals, principles, values, purposes, goals and plans. The result is I can spend more time than either necessary or wise on perfecting the concept than moving ahead and implementing the plan. A great strength when time and resources are plentiful. But evidently a crucial weakness when decisions need to be made quickly and continuously and under changing contextual realities. 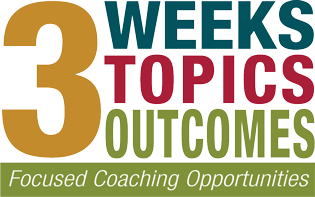 My learning challenge with this chapter is to practice articulating and focusing on the outcomes I want to achieve. My commitment must not be to my strategy but to my goal. Do you tend to be more outcome-focused or more process-focused? 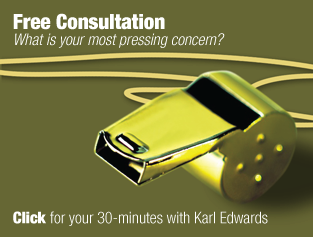 What have you experienced to be the strengths and weaknesses of your approach? What was your main take away from this chapter? This entry was posted on Tuesday, January 25th, 2011 at 9:00 am	and is filed under Clutch by Paul Sullivan. You can follow any responses to this entry through the RSS 2.0 feed. You can leave a response, or trackback from your own site.